Bob Michels, owner and president of Michels Homes, is a 3rd generation builder. 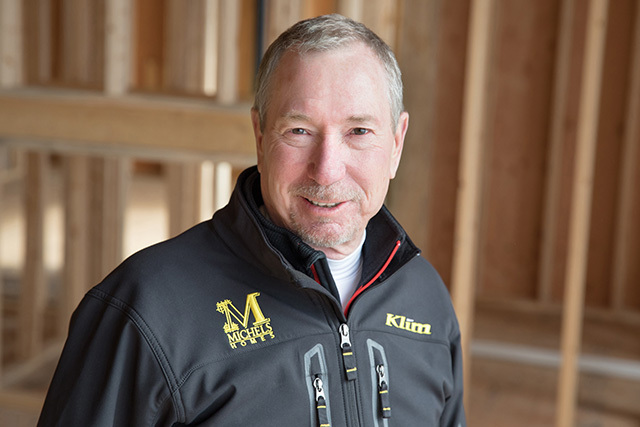 Bob received his Bachelor of Science in Business from the University of Minnesota, and has been involved in the building and remodeling process since 1965 when he began working for his father, Jim. Bob is highly involved in all his projects, and works closely with each homeowner. Bob has been an active member of BATC - Housing First Minnesota since 1978 and served as the association president in 2017. In addition, Bob is a BATC - Housing First Minnesota Foundation board member and technical director for the BATC - Housing First Minnesota Green Path committee. In his free time, he likes to garden, golf, and spend time with his wife, Mary, on their motorcycle.